With Android Device Management for your business, you can secure, control, automate, and manage company-wide device enrollment cost-efficiently. Get started easily and quickly with excellent support, saving up to 30 minutes per device. Miradore Online enables Android Device Management across all Android device manufacturers. Miradore is an official Enterprise Mobility Management (EMM) partner for Google’s Zero-Touch Enrollment (ZTE). The ZTE is an Android feature that you can use to automate the setup of company-owned devices with your organization’s IT policies. 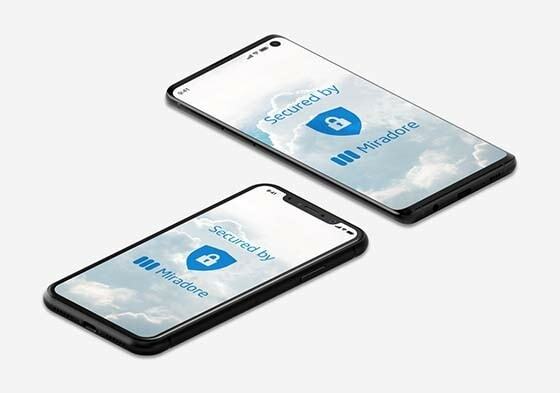 Miradore automatically and silently installs all apps and configures settings on your new devices based on user profiles. Simply enroll and let Miradore do the job. Secure your devices by enforcing passcodes, encryption, and VPN. Track the location of missing devices and remotely wipe or lock if necessary. Ensure only safe apps are installed on the device. Stay compliant with data protection regulations like HIPAA and GDPR. Separate business data from personal data with Android Device Management for your business. Make sure your business contacts or other data doesn’t leak through to a user’s personal apps, and have a separate passcode for unlocking the business profile. IT Administrators can use Managed Google Play to get work apps purchased and published for self service, or installed silently. Any apps needed for work are pre-approved by the IT administrator. Track the location of devices, including longitude, latitude, location reported, street address, zip code, city, and country. Disable or lock down device features, buttons, applications and settings. Blacklist and whitelist applications and webpages. Billington Food Service, a bespoke supplier to the UK’s food service industry, needed a new MDM solution as they transitioned from iOS to Android. They find Miradore easy to use, and it includes all the needed functionalities, like in-app deployment and location tracking.